The 2018 Festival opens with a rare screening of the original and most faithful film adaptation of James Fenimore Cooper’s classic novel. Two British sisters caught up in the war for colonial control of North America, find protection under the care of white scout Hawkeye, the last chief of the Mohican tribe, and his hunky yet majestic son Uncas. A magnificent drama in which good and bad characters are dispersed amongst Native Americans, British and French alike, whilst the narrative takes in devastating action scenes and swoon-inducing romance. Look out for a blink and you’ll miss it appearance from Boris Karloff. This thrilling adventure is accompanied live by a new score for keyboards, percussion, bass, ukulele and acoustic guitar composed and performed by guitarist and multi-instrumentalist David Allison. 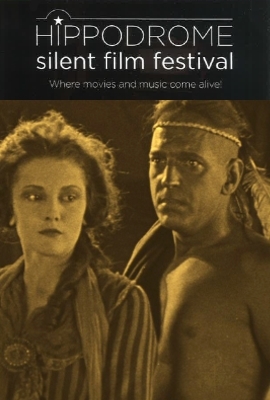 David Allison has created a number of successful live soundtracks for silent films, including ‘The Island Tapes’ and ‘The St Kilda Tapes’ which toured internationally and sold out at festivals such as Celtic Connections, as well as the 1922 horror classic ‘Nosferatu’ (HippFest 2011). "Thoughtful and crafted acoustic guitar music"
"Using a looping technique he constructs rooms of sound that are nearer New Age than Scots traditional, more ambient than jazz, but original, engaging, emotionally eloquent, and very, very well played." The List. "His playing is lovely, his expertise breath-taking. But it is his idea of sound which breaks you. I don't know any other way to explain what he does than this: he is painting with sound." The Scotsman.